Best of Hidden Object Value Pack Vol. 3 Game - Download and Play Free Version! Track down nefarious art thieves in Insider Tales: The Stolen Venus. Just yesterday, art lovers from around the world were clambering for a glimpse of Botticelli's masterpiece, 'The Birth of Venus', but today nothing hangs in its place but the empty frame! 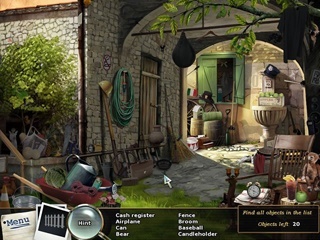 Help inspector Francesca di Porta hunt for clues to track down the villains in this mysterious hidden object game. You're on the case with Insider Tales: The Stolen Venus! The luxury cruise ship 'Empire' has been boarded by rich tourists, a world-renowned art exhibition...and a thief. When the highlight of the exhibition, 'The Birth of Venus', is stolen, famous detective Francesca di Porta takes a break from her well-earned holiday to prevent panic among the passengers. Talk to witnesses, search for clues, and do everything you can to solve the case and get back to your vacation! 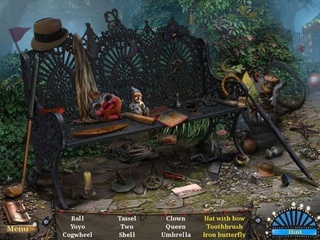 Insider Tales: The Stolen Venus 2 is a clever and classic hidden object game.